Choosing the best acne scar removal cream is an individual task that depends on your skin type and acne scar type. We have prepared this article to guide you through the task of picking the best treatment for your own scars. Below you can see the acne scar treatment products with the best product features, customer reviews and ratings available on the Internet. We have carefully analyzed every single aspect of these products, so you can easily choose the right one for your skin type. Do I need to treat my acne scars? All of these formulas have proven skin-bleaching properties and are widely used in the cosmetic for the treatment of hyperpigmented conditions, such as acne scars, melasma, dark spots. This ultra potent combination of anti-acne and skin0brightening compounds might be the most appropriate option in case you have both acne prone and scarred facial skin. The formula provides gentle, yet deep exfoliation, removing the dead skin cells and contaminants and revealing a healthy, radiant layer. It rapidly eliminates the dark marks, caused by acne breakouts. Unlike most scar removal products, this one should be applied for no longer than 60 days – this period will be enough to uncover your beautiful undamaged skin. It will take care of all problem areas where hyperpigmentation and dark spots appeared, due to excessive skin picking and/or severe acne. 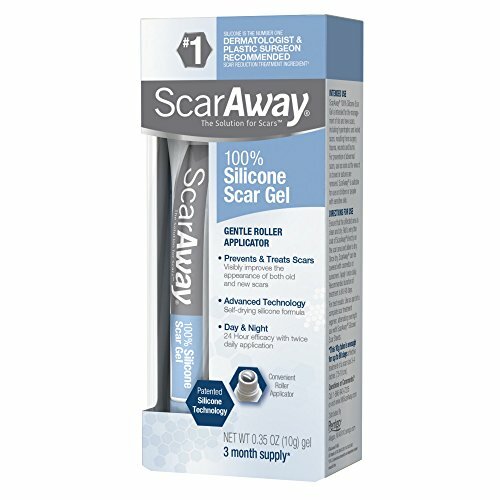 ScarAway, being one of the most popular scar removal gels, currently available on the market, promises to erase the scarring, thanks to the silicone-based compounds in the formula. Silicone is one of the very few ingredients with a clinical background, proving its’ positive effect in the reduction of newer and older scars. Another positive aspect is the positive reactions and reviews of hundreds of people, who successfully managed to erase severe scarring, including deep hypertrophic scars, following acne breakouts. This patented silicone gel is specially formulated for the facial and body areas that are often uncovered and unprotected from the harmful sun rays. This is why BioCorneum Plus SPF30 is one of the most preferred options when it comes to facial scars. It will quickly eliminate the discoloration and redness, alleviating the discomfort, associated with scarring. The SPF provided plays a major role, as it will stop the further hyperpigmentation and dark spots’ appearance. 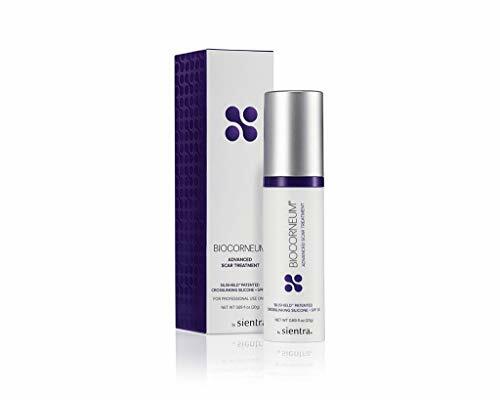 One of the most important features of BioCorneum Plus SPF30 is that the product is absolutely safe for those with very sensitive skin, and the facial skin is always more sensitive, delicate and fragile than the other body skin. You can find additional information about the formation, causes, types, and prevention of acne scars in the article below! Acne is quite an unpleasant problem to deal with. But even more unpleasant are the scars that it often leaves on the skin – dark spots, bumps, damaged tissue. In the beginning, acne scars are red or purple in color because of the injury to the skin tissue and the underlying blood vessels, as a part of the natural inflammation response that is due to the body’s healing process. As the time passes, the scar color changes while the skin continues to regrow and heal, and new skin cells replace the damaged ones. 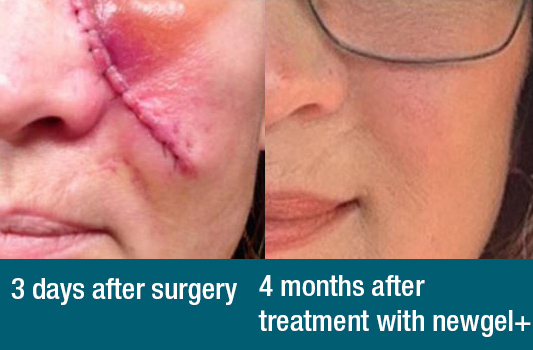 Scars heal differently based on the type of wound and individual factors that determine its size and appearance. Sometimes, the process can take up to 18-24 months for the scar tissue to heal properly and fade as much as possible. Usually, red or reddish-purple scars will fade in color as the wound heals, which typically takes around a year. Scars that appear white in color are called hypopigmented scars. 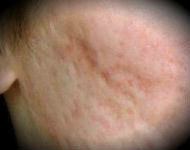 Hypopigmented scarring is a common complication, particularly in patients who had deeper skin damage. Unfortunately, there is no universal method, preparation or procedure to remove them and completely restore the integrity of the skin. It is important to know that the treatment of acne and the treatment of its consequences are radically different processes that do not happen simultaneously. But there are certain rules that can fasten the healing processes and improve the overall condition of the skin. Acne develops in the pores and sebaceous glands of the skin, which, when clogged, cannot free themselves of excess sebum. This results in the development of bacteria. Scars appear in the process of forming new connective tissue and recovering the damaged one, which however does not always restore its normal appearance. The scars are concave or convex, depending on the amount of collagen released. Atrophic scars – divided into 3 main types (boxcar, icepick, or rolling), all characterized by shedding of the skin. They are skin depressions that are caused by the destruction and loss of collagen. The atrophic scars are usually below or at the skin surface and may result from traumas, surgical interventions, inflammatory diseases (acne, varicella) and as a result of burning and frostbite. Hypertrophic scars – thickened, wide, often raised scars and develop where the skin is injured. Such scars do not extend beyond the boundary of the original wound but may continue to thicken for up to six months. Their appearance usually improves over one or two years. The most common are atrophic scars caused by acne, more rarely hypertrophic can be observed. During the skin healing process, as a result of a deep inflammation affecting the dermis, there may be changes in collagen synthesis and subsequent atrophy of the skin. They are represented by different size, depth and shape depressions (holes). 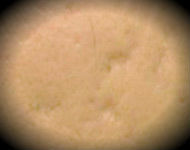 Appearance: deep, very narrow, stretching in the dermis. The skin looks like it has been pierced by an ice slide or a sharp tool. “Icepick” scars are able to leave deep “holes” in the skin, and some may look like a large open pore. 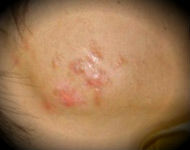 Development: Appear after cyst infection or other deep inflammation. The skin tissue is destroyed and a scar remains on its surface. Appearance: These scars are round or oval depressions with steep vertical sides. Development: they are the result of an inflammatory process that has led to the destruction of subcutaneous fat and collagen, resulting in depression. The skin above this area is left without and/or with a small amount of underlying tissue. These scars may be superficial to severe, depending on the amount of tissue loss. Appearance: This type of scarring have rounded, sloping edges. Unlike “icepick” and “boxcar” scars, rolling scars are wide (4-5 mm) and shallow. Development: Rolling scars occur when fibrous tissue strips appear between the skin and the underlying tissue. Appearance: The hypertrophic scar is raised above the skin and has a solid and dense surface. These types of scars are the size of the previous injury. Hypertrophic scars caused by acne most commonly appear on the upper body, especially in men. Development: Unlike the different types of atrophic scars (described above), hypertrophic scars are not caused by tissue loss. On the contrary, they develop because of overgrowth of collagen. This is a decision only you can make. Some people think that acne scars lower their quality of life, while others are not bothered by their scars. You should be aware that the treatment of scars requires time and persistance before any visible results appear. Be realistic in your expectations! It is important to have realistic expectations about the results. Treatment can improve the appearance of your skin, but it is unlikely to completely restore it to the appearance before the onset of acne. Laser peeling (laser resurfacing) – is a high energy beam laser beam treatment that heats and evaporates the surface layer of the skin. Recommended for the severely affected skin. Microdermabrasion – a mechanical peeling method that removes the upper layer of the skin. It is suitable for very small scars. The method is not invasive and, unlike the other procedures, is significantly less uncomfortable to the patient. Chemical peeling – it is a bruising of the upper layer of skin with a weak acid. The new skin appears after about 2 weeks. The patient must always use a high-quality sunscreen after such procedure. Dermabrasion – Removes the skin’s surface layer, the patient is given local or general anesthesia, performed by a qualified medical practitioner. Dermabrasion stimulates the formation of a new surface layer of the epidermis. The new skin is gentle and sensitive, and this feeling goes away after a few months. Laser and light therapy – known as PDL and IPL – lead to color fading and smoothing of the raised scars. Cosmetic fillers – products containing hyaluronic acid are most commonly used, which are absorbed into the skin after a particular time and do not cause any side effects. Gels and creams – also known as under the counter treatment methods, some of which provide very good results (but often require longer periods of application). Such products reduce the discomfort and scarring while fixing the uneven skin texture. Products containing glycolic acid, retinol, or vitamin C help to smooth out the signs of sunburns, and silicone-containing gels are most beneficial for the treatment of raised scar tissue. Lightening creams – In case of skin discoloration (and the skin relief is not damaged), it is more appropriate to treat the skin surface with lightening creams. For other types of scars, check our article for the general scar treatment products. I have an pimples marks on my face.. So can i use Mederma for the prevention. and can i expect the that it could clear marks on my face..??? The marks you mentioned usually form as a result of skin picking, this is why the best preventative measure is to avoid trying to extract your pimples. Believe me, the pimples will not heal faster and they may even get infected. 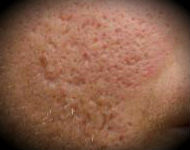 Mederma will help fade the existing marks but if you still have acne, this should be the first problem to eliminate. Note that the treatment with Mederma requires both patience and persistence – you may need a couple of weeks before the marks start fading.